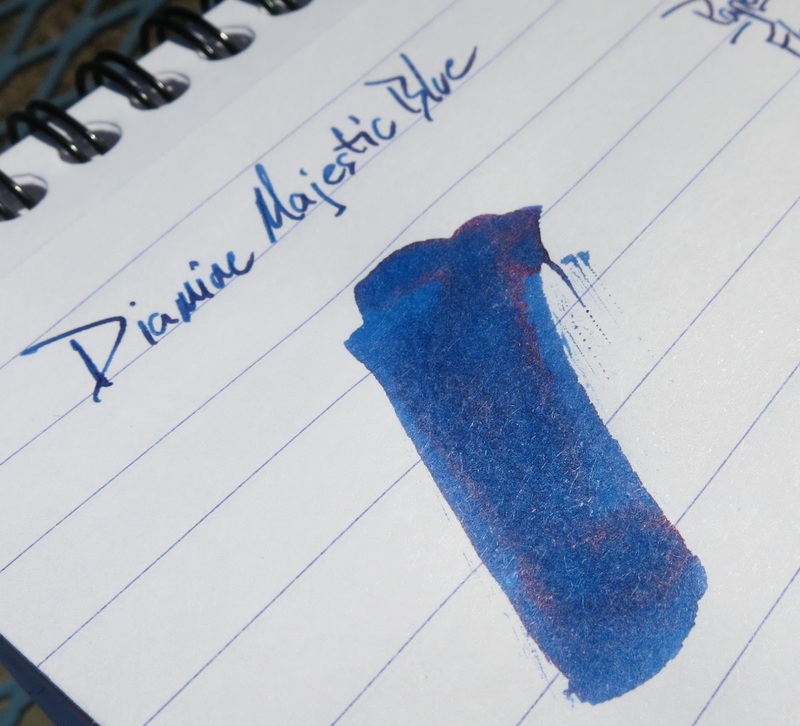 Nibs & Nails: Diamine Majestic Blue | Inkdependence! This week's edition of Nibs & Nails converts one of the sheeny-est inks around into a beautiful blue and red duo-chrome nail polish. Check it out over at Right on the Nail! It's difficult to represent the red sheen in this ink as a nail polish, but I think Heather's Hues does a good job with it. 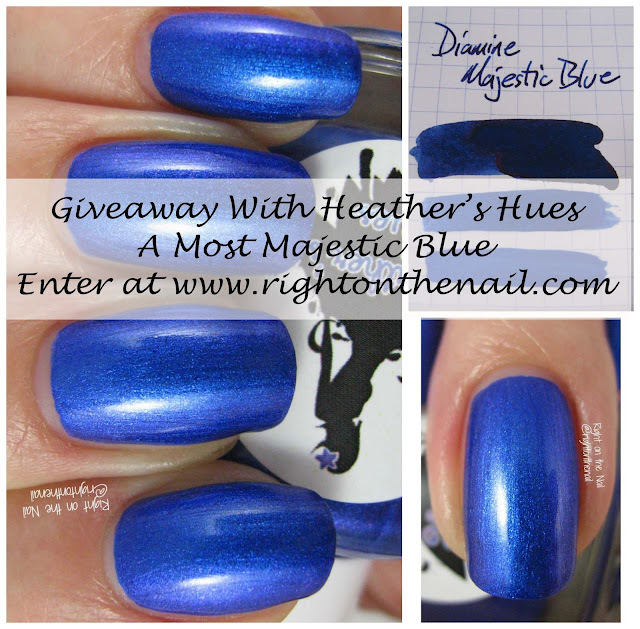 You can't buy this polish in the store (right now, anyway), but you can win a bottle from Audrey's blog so get over there and enter to win! A video blog: A Vlog!